To research, seek, and investigate the Bigfoot phenomenon in Ohio and Pennsylvania in an objective, scientific manner to find the truth. New August 2004: A Cop Bags a Bigfoot in Washington!! See the last article under news clips, the 2000's articles. Note: watch out around Berlin Lake in Ohio, there seems to be some hoaxing going on there. Our Ohio White Bigfoot Video Analysis, found under the Research section, was recently shown as part of an Ohio Bigfoot TV news report on Cleveland's Channel 19 and 43. Included in this site: specific noteworthy information about Ohio and Pennsylvania, sound files, analysis reports, field reports, news and article clippings, interviews, videos, helpful research information, and more. This site is in hierarchal format. Navigate the site by using the buttons near the top each page. Up returns you to the previous page. The Ohio / Pennsylvania Bigfoot Research Group has been researching the possibility of Bigfoot creatures existing in the Oh/Pa area since 1978. We have compiled this web site as a method of disseminating factual information concerning the subject, as a means of introduction to our research group, and as a contact point for us. We estimate that only a few percent of witnesses contact or tell someone about their experience. It is very important to relate any and all information to us to allow us to: further investigate, log the information, correlate and build scientific data, find conclusions, and obtain evidence of the creature. We conduct all our research in a benign manner and have no intentions of injuring the creature. All of your information, personal and locations, will be kept strictly confidential. You may fill out an online report form by clicking on the "Report Info Here" button near the top of this page, where you will be taken to a Bigfoot Research Network form. We are founding members of the Bigfoot Research Network, and all information is secured. You may contact us by email, or US mail at: PO Box 376, Newton Falls, OH 44444. We have recently completed a vast overhaul of our web site, added much more content, re-mastered the sound files, and improved navigation. In addition to updating the web site, we moved to a larger web space provider and changed our mailing and email addresses, so please note the changes. We have plans to further enhance the content of our web site over time-- keep visiting. 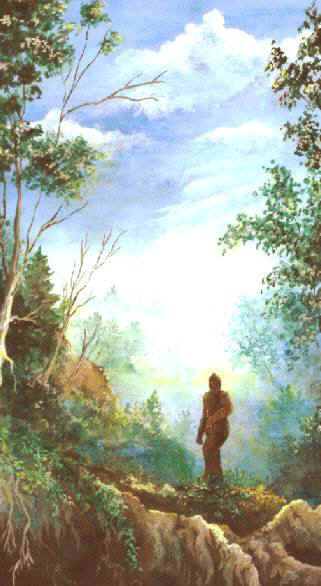 © 1999, 2000, 2001, 2002 Ohio / Pennsylvania Bigfoot Research Group, All rights reserved. 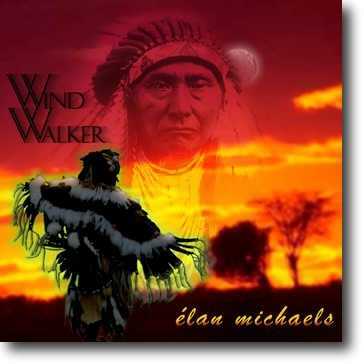 Background music courtesy of Elan Michael, a Native American, spiritual music artist. Visit his web site to hear more of his music by clicking on the below picture. You may order better quality versions of his work on CD from retailers like CDNOW.